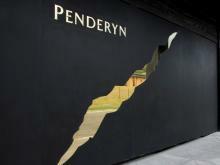 Something distinctive from Penderyn, the Welsh whisky pioneers. After an initial spell in ex-Buffalo Trace bourbon casks, this, its house style, finishes with six months in ex-Madeira casks. It's a light dram, and very smooth to taste – there's no burn in it at all. A young and fresh tasting malt, it smells (deliciously!) rather like orange chocolate straws, although, when you add a splash of water, you'd swear that it came with a splash of apricot jam included. On the more fragrant side of the spectrum, this sweet orange theme continues when you taste the whisky, along with another sliver of apricot, and a lick of white vanilla chocolate contributed by the oak barrels. You could serve up this malt to turn the heads of cognac drinkers. The rest of us can enjoy it as a dessert whisky with an apricot jam roly-poly.